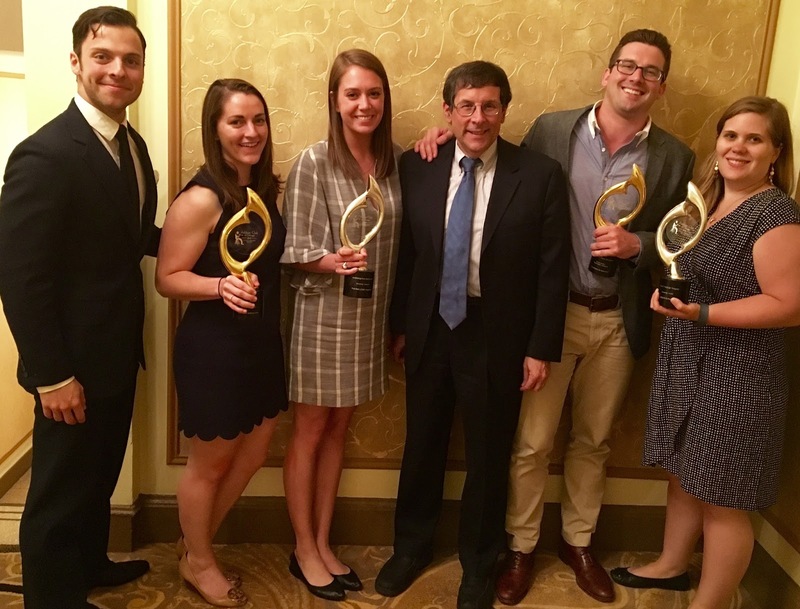 PR awards season kicked off this month with the Publicity Club of Chicago's GoldenTrumpet Awards, where we were honored for four 2015 public relations campaigns. 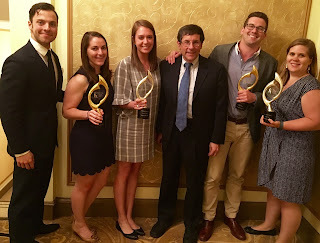 The account teams celebrated at a dinner held at the Palmer House Hilton, along with the best and brightest in the Chicago public relations scene. Our teams are invested in the success of their programs, and these awards spotlight their creativity, tenacity and dedication. The Snow Joe Hybrid Launch program, which won a Gold Trumpet in the Social Media category. This campaign launched a new snow blower to market with a buzz-building array of social events, including a series of sweepstakes, a live online product debut, influencer “unboxing” videos and more. “Pinning Down Traffic for Trex.com” won a Gold Trumpet in Online Content-Website for it's creativity in helping organic traffic move from inspirational content sharing to conversion activity on the brand's website, increasing visits and contributing to a successful year for the company. The American Academy of Sleep Medicine (AASM) “7 and Up” campaign successfully educated consumers about the importance of sleeping seven or more hours each night in order to achieve optimal health. The program included national media interviews, blogger partnerships and a hashtag campaign for #youknowyouneedsleepwhen…. This program won a Silver Trumpet in the category of Marketing-Health. The Onelink by First Alert Launch also won a Silver Trumpet in the category of Marketing-Consumer for its successful approach to introducing the new Onelink brand to tech media and influencers. We are lucky to have long term clients who truly treat us like partners, and all of the awards were won due to great collaboration with our client teams. Congratulations to all of the winners of this year’s PCC awards!